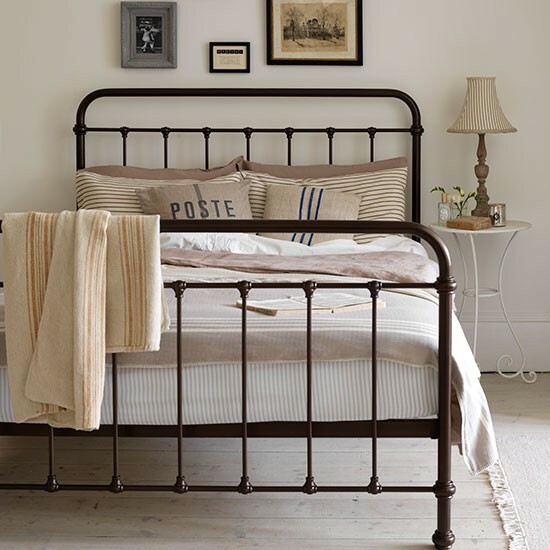 You simply can't go wrong with a gorgeous vintage wrought iron farmhouse style bed. Here's a few that really took my fancy, starting with mine! 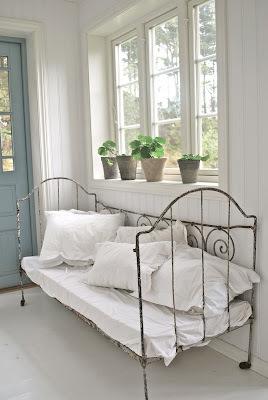 I love wrought Iron beds too-I wish I could find an old rusty crusty one in a King size! 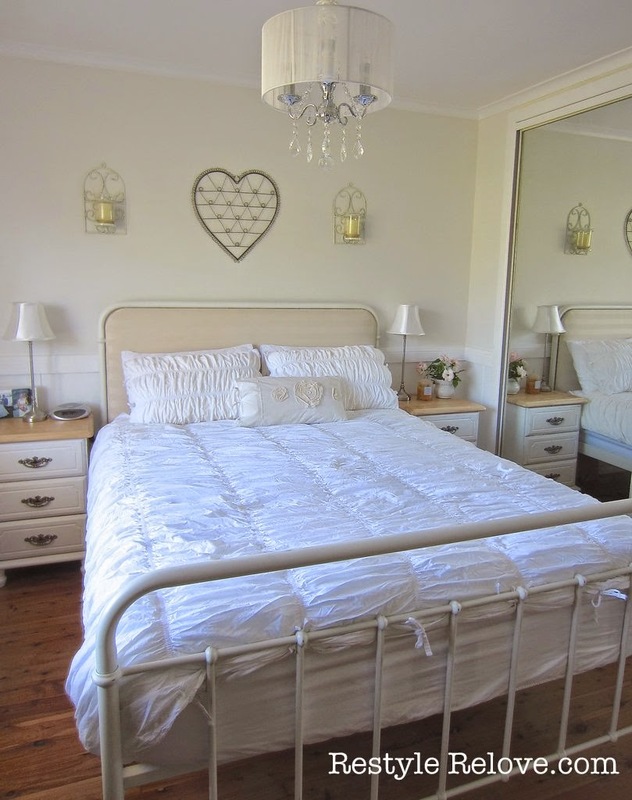 What is is about a iron bed. Love them too. You found some wonderful inspiration pics. 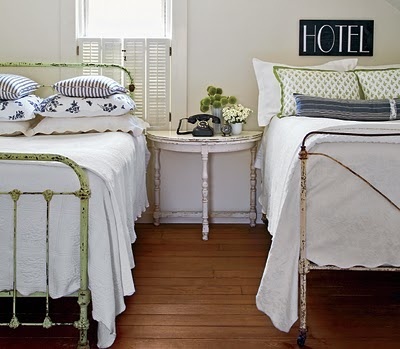 your post has me longing for an iron bed. wow. 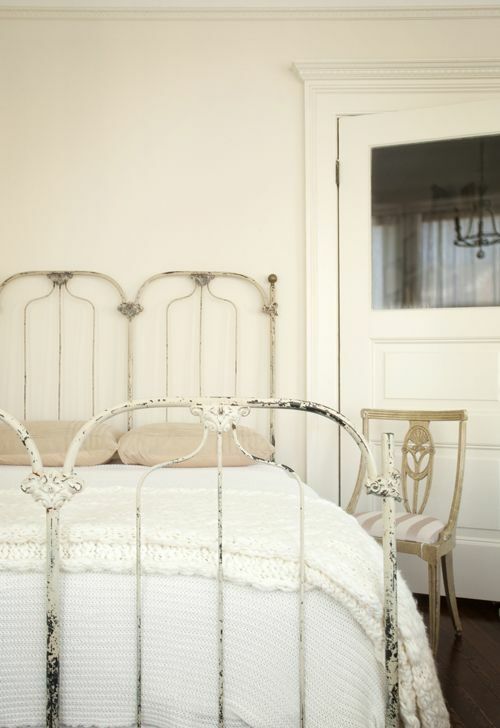 Did you add the upholstery to the headboard of yours? These are pretty. 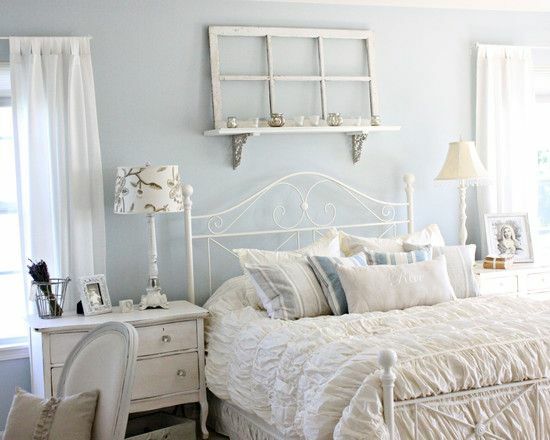 Love the one from Pinterest.